Inside: Discover myths debunked and 12 practical ways to save money while following a healthy, gluten-free diet. 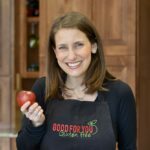 I’m Jenny Finke, the gluten-free blogger behind Good For You Gluten Free. My doctor diagnosed me with celiac disease in April 2012, and since then I’ve been following a strict, gluten-free diet. 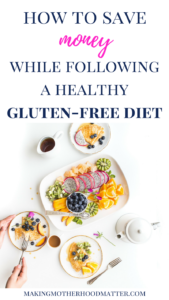 It took me years to figure how to be a healthy, gluten-free eater, but that is a post for another day! Today I want to debunk a myth I hear people saying all the time – and that is that it costs a lot of money to eat healthy and/or gluten-free. OK, so I know that some things cost more money when you’re gluten-free. However, I have made it work and my overall budget is unchanged. Sure, I may spend more at the grocery store, but I spend a lot less on eating out and sick care. 1. I Spend My Money on Health Care, Not Sick Care. Things like doctor’s visits, procedures, tests and medications add up. In fact, sick people looking for answers often dish out thousands of dollars trying to either figure out what’s wrong with them or to heal their ailments. My friend spent $7,000 last year visiting doctors and trying medications and therapies to heal her daughter’s skin condition. It left her with an empty wallet and no answers. So the #1 way I save money is that I spend my money on eating right and taking care of myself (health care) vs. costly doctor’s visits, procedures, tests and medications (sick care). I haven’t even mentioned the costs associated with missing work or school – those costs really add up too! 2. I Cook at Home. In 2016, Americans officially spent more at restaurants than at grocery stores! If we want to understand why our wallets are empty and our waistlines are huge, we don’t have to look further than this disturbing trend! I save money each week by preparing the majority of my meals at home. 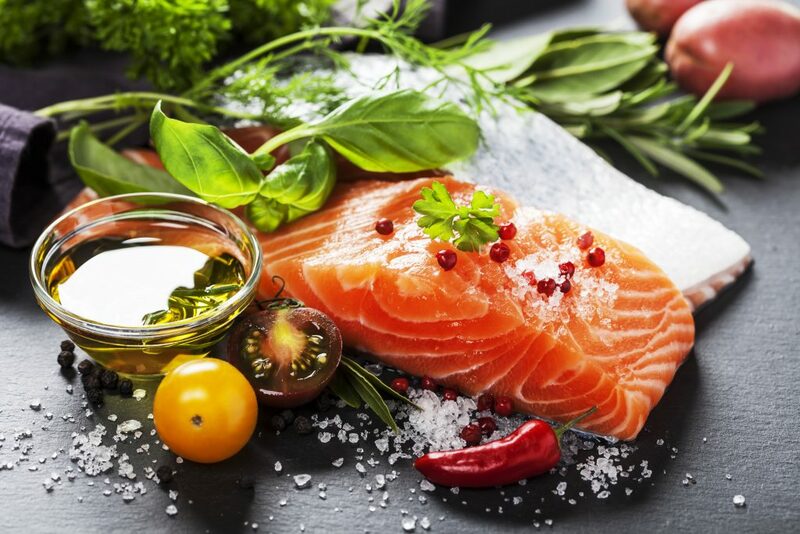 My husband asked my son, “What is your favorite restaurant,” and he said “Mom at home.” When I cook at home, I am able to choose quality ingredients and ensure my food is truly gluten-free. Plus, I add Vitamin L (love) to all my food! 3. I Brown Bag It. Americans are obsessed with eating lunch on the go. In fact, a 2015 Visa survey reported that American consumers, on average, spend $53 per week or $2,746 per year on lunch. When you prepare a meal at home and bring it with you, you not only save money, but also you eat a whole lot healthier too (and you don’t have to worry about hidden gluten in your food either!). Planning your meals is extremely important if you want to eat healthy on a budget. You can save money by using what’s readily available in your pantry or garden, repurposing ingredients so you get the most use out of them, and then creating purposeful leftovers to enjoy for lunch (or even breakfast) the next day. For example, you could make salmon and quinoa one night, then use the leftovers to make salmon and quinoa burgers the next night. If you buy a big bag of broccoli at the store, you can make broccoli soup one night, and put broccoli in your fried rice recipe the next night. This way you use up what you already have and waste less money to spoilage. You can also double recipes to create freezer meals for a rainy day, and prep all your meals the Sunday before the workweek. The ideas for meal planning are endless – and you’ll be saving money and time left and right! Eating organic foods is so important – and just because you’re on a budget doesn’t mean you should have to eat produce that’s been doused in pesticides. What I’ve learned is that some produce is more prone to pesticide and chemical residue than others. So when I want to eat produce, I buy the “Dirty Dozen” organic and don’t worry about the rest. The “Dirty Dozen” is a list of 12 fruits and vegetables that the Environmental Working Group (EWG) found had the most pesticide residue. In 2016, the list included strawberries, apples, nectarines, peaches, celery, grapes, cherries, spinach, tomatoes, sweet bell peppers, cherry tomatoes and cucumbers. So I buy those “dirty” vegetables and fruits organic and save money by buying the rest non-organic. 6. I Eat in Season. When you eat in season, you naturally get the best prices on healthy fruits and vegetables. Buy things like grapes and strawberries in the warmer months, and things like butternut squashes and citrus fruits in the winter months. You’ll notice that whatever is in season is usually on special at the grocery store. So buy your produce when it’s not only freshest, but also when it’s the cheapest! 7. I Buy Frozen Fruits and Veggies. If I’m craving a strawberry in the dead of winter, the frozen food aisle is where you’ll find me! When you buy frozen produce, you’ll be getting fresh fruit and vegetables that were frozen within hours of being picked. Plus, you’ll save money because you can use the frozen stuff at your leisure and nothing will be lost to spoilage. Meat and poultry are expensive – especially when you want to buy the quality stuff. So instead of making a meat dish EVERY night like most Americans, I prepare many meatless meals like eggplant parmesan, gnocchi in a mushroom brown sauce, hearty lentil soup and more! When you switch out meat for a vegetarian option once, twice or even three times per week, you’ll naturally save money and you’ll likely be healthier too – just watch! 9. I Shop for Groceries Online. I’ve found some great deals online, especially when it comes to gluten-free, organic and non-GMO products. Places like Amazon and Thrive Market offer good prices on certain gluten-free and packaged items. Do some price comparisons to see for yourself! One item I love buying on Amazon is organic nori (seaweed) wraps for when I make sushi rolls. I can get a huge pack of nori on Amazon for a fraction of the price I’d pay at my local natural grocery store. 10. I Eat Naturally Gluten-Free. Packaged foods can really make your grocery bill skyrocket as many gluten-free foods cost more and contain less. To combat this, I shop for naturally gluten-free foods – they taste the best, are good for you, and typically cost less than the packaged stuff. I’m talking about loading your cart with things like fresh produce, organic eggs, whole grains like brown rice and quinoa, healthy fats like avocados, and of course, some meat and poultry. When you choose naturally gluten-free foods, you save money not only at the grocery store, but also you’ll be healthier, which will cost you less in the long run! If you want to buy some packaged foods here and there (which we all do – I buy brown rice breadcrumbs, bean pastas, tamari sauce, almond butter, etc.) – look for coupons. More and more gluten-free brands and health food brands are offering coupons. 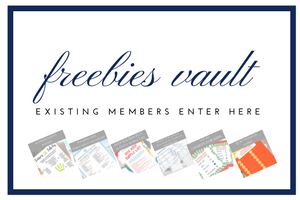 Visit your favorite brands online and sign up for their newsletters. I find companies like Van’s, Ian’s and Enjoy Life send coupons regularly. Also check out coupon sites like Lozo and Hopster. I regularly find coupons for Bob’s Red Mill, Udi’s, Canyon Bakehouse, So Delicious Milk, Enjoy Life, Bakery on Maine and Glutino. I list strategies for finding coupons on gluten-free goods in a post on my website. 12. I Prioritize My Spending. It’s funny how so many of us will spend $800 for a new iPhone, but then we complain that an organic apple is $.15 more than a conventionally grown apple. I think we could all use a little perspective when it comes to how we spend our money. My philosophy is to pay now (for healthy food) or pay later (for pills and procedures). I live by the mantra that health is wealth. 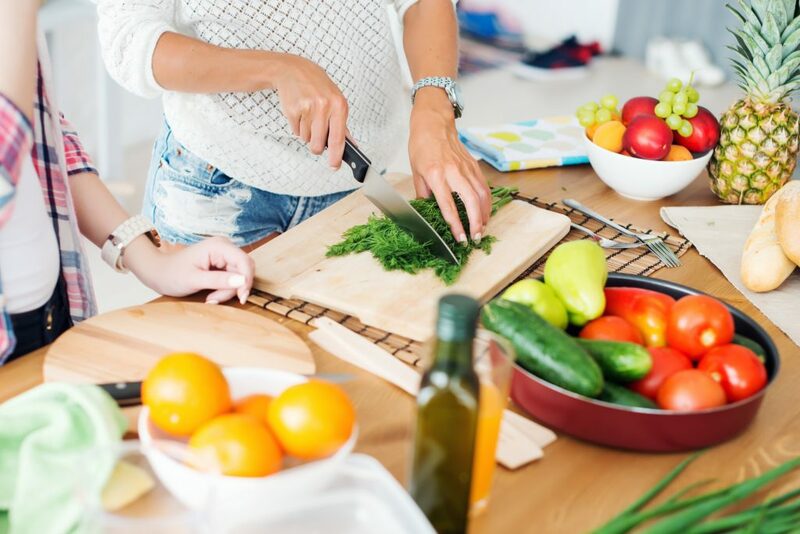 When you eat at home and eat more naturally gluten-free and healthy foods, you’ll easily save money not only on food but also on doctor’s visits, tests, procedures, medications and sick days off from work or school. Bottom Line: You will save money when you actually spend your hard earned money on nurturing good health. Which of these tips resonated with you most? Please leave a comment to share. P.S. I’d like to invite you to download my free Guide to Decoding Food Labels. In it you’ll find out the important difference between organic eggs and free-range eggs, if there’s still gluten lurking in products labeled “gluten-free,” and what in the world labels such as “all-natural” and “healthy” really mean. This piece was written by Jenny Finke. She is a certified nutrition and health coach and the gluten-free blogger behind Good For You Gluten Free. She founded Good For You Gluten Free after a devastating celiac diagnosis in April 2012. She helps her readers and clients live a healthy, gluten-free and full life. You can find Jenny online at Good For You Gluten Free, Facebook, Pinterest, Instagram and Twitter. If you enjoyed this piece, you may also like 10 Ways to Teach Your Toddler Healthy Eating Habits. As parents, it is often a tough decision between giving toddlers what they want and giving them healthy food. click the link to read ten ways to teach your toddler healthy eating habits.